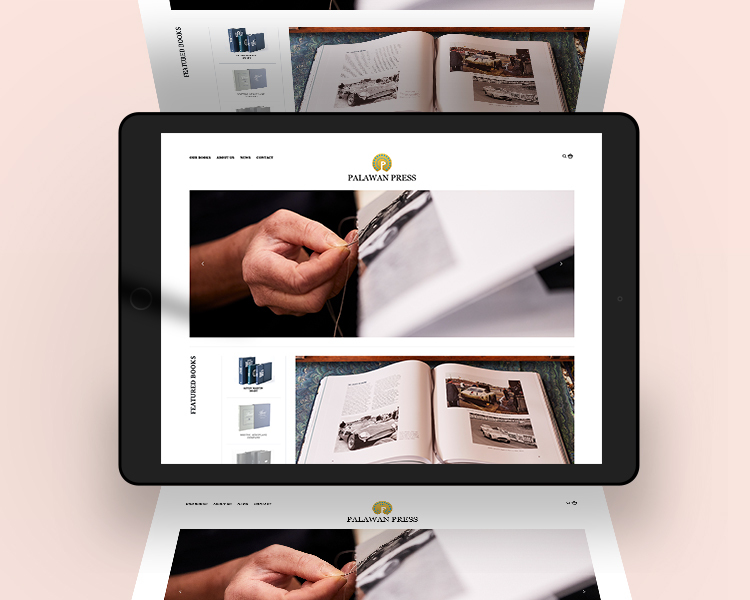 Specialists in luxury and limited edition books, Palawan Press needed a website with style to match the class of their products. A very exciting project for us here in the Studio, we redesigned and built the book company’s website, as well as art directing the site’s photography to capture product and lifestyle shots. Our aim was to ensure the new site invited their customers to explore and purchase their range of first-class editions with complete ease. In its 25-year history, Palawan Press has built a reputation in the car book business for producing sought-after classics. Their range of limited-edition collectables comprises of books from the Aston Martin DB4GT to the modern Porsche 918 Spyder. Utilising the very best printers and folios in the UK, Switzerland, Germany and Italy – one of which we had the privilege to visit on the shoot- each product is produced as both a standard clothbound enclosed in a slipcase, and a leatherbound edition encased in a Solander box – utterly beautiful. So friends, for an unforgettable treat for the car fanatic in your family this Christmas or to have a nosey at their product range or to simply see what we’ve been up to, visit Palawan’s website here.